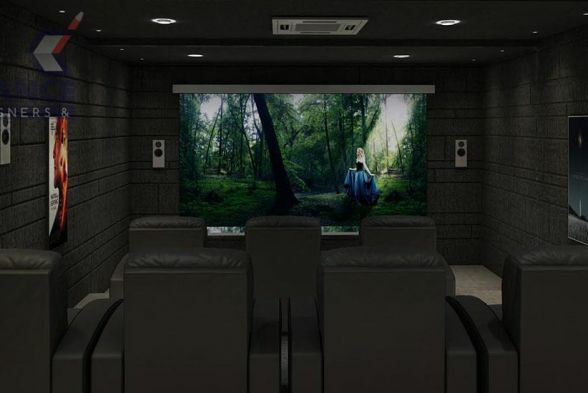 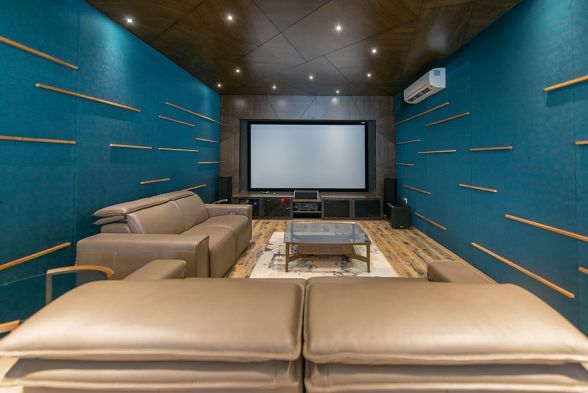 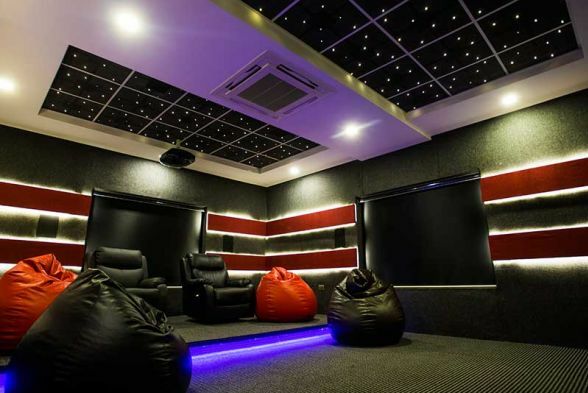 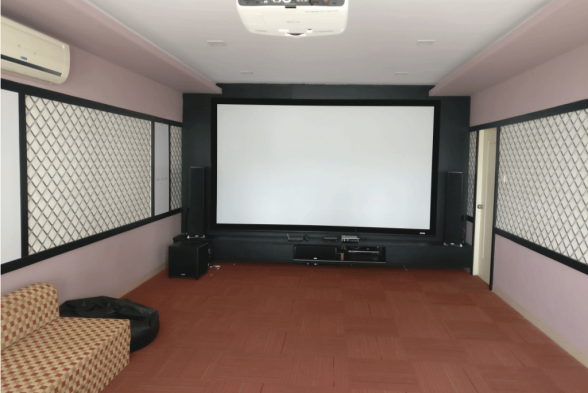 A home theater, commonly known as a home cinema, is a audio and video equipment setup theater built in a home, designed to have the real movie theater feeling and experience in a private house. 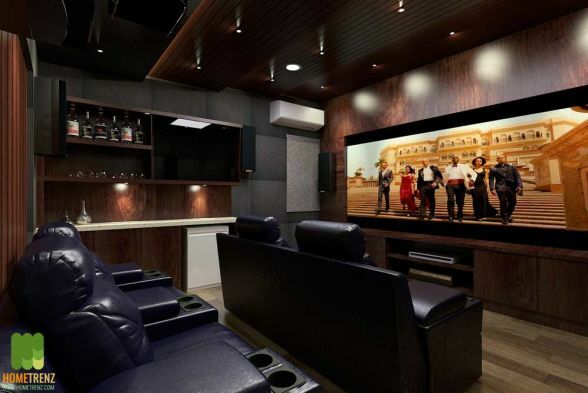 A home theater setup can include a 32 to 55-inch TV, DVD player, DVD/Blu-ray Disc player, that is combined with a stereo or home theater receiver, projector, speakers, subwoofer etc. 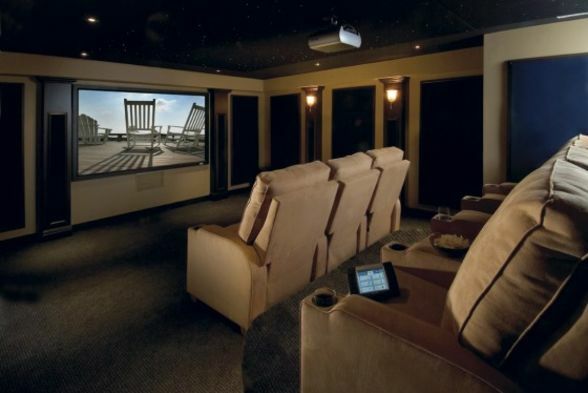 The major benefit of a home theater is that, it provides an entertainment option for watching TV and movies at home itself. 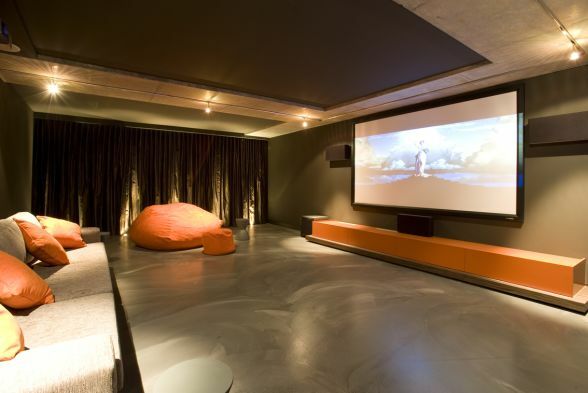 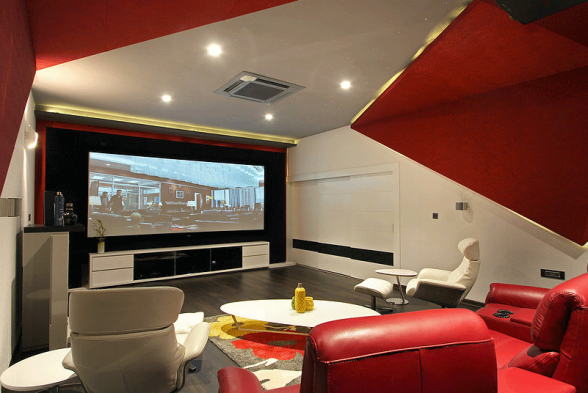 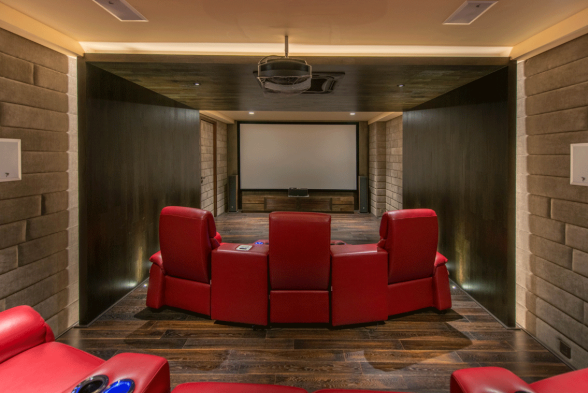 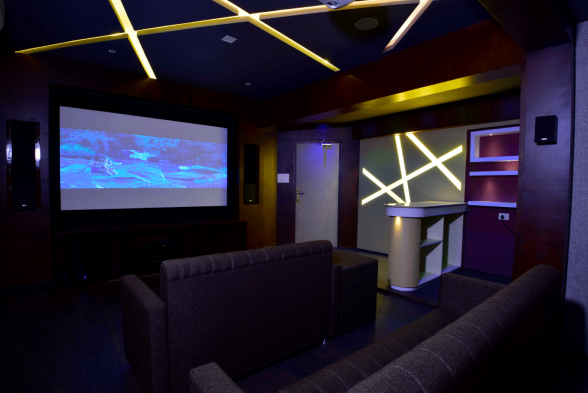 Designing a home theatre of the house can always be a difficult task. 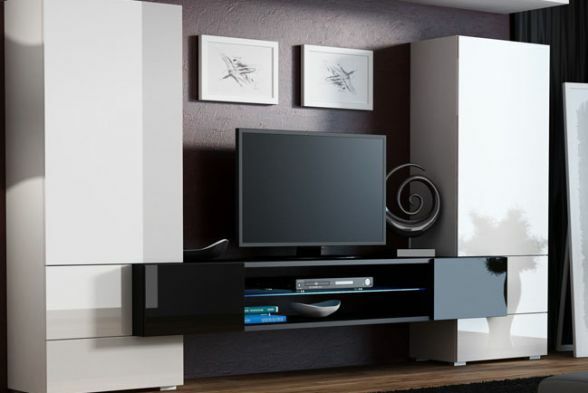 For that, we should keep various important things in mind regarding the furnitures, flooring, wall colors, and other accessories. 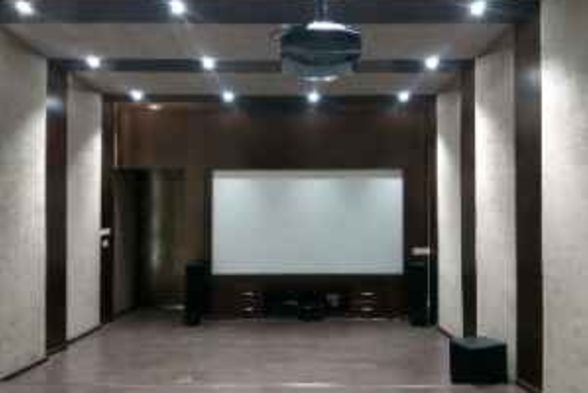 The home theatre should be placed in a spacious room of the house which contains several furnitures, projector, a plain and clear screen, carpets, curtains and other ornamentations. 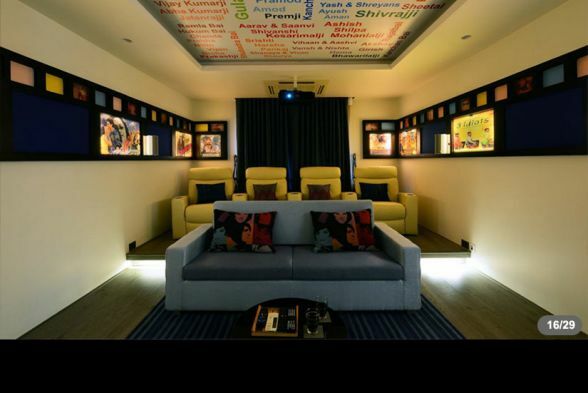 Paint your walls with dark colors, as the bright colors reflect light, which will tend to distract the viewers from watching movies. 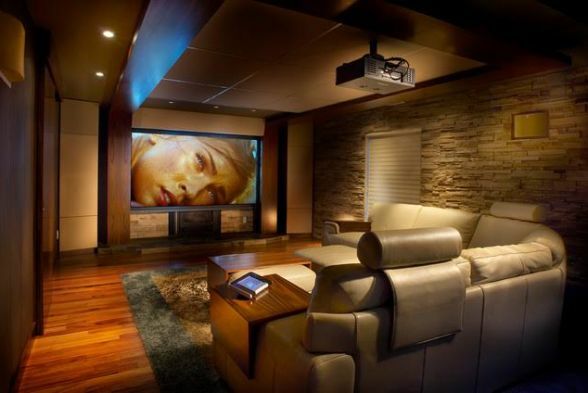 Colors like light browns, olive, red and blue, will give you a soothing visuals in the screen and will not reflect as well. 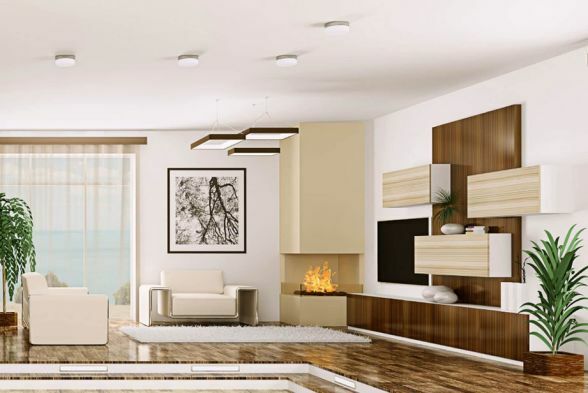 Hardwood or laminate flooring will provide a cozy feeling to the consumers. 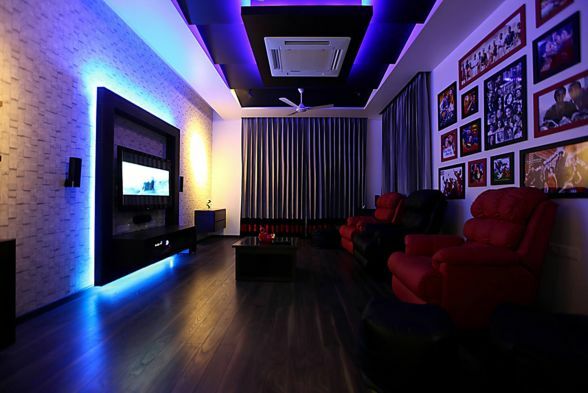 The room should contain minimum amount of equipments with its proper utilization. 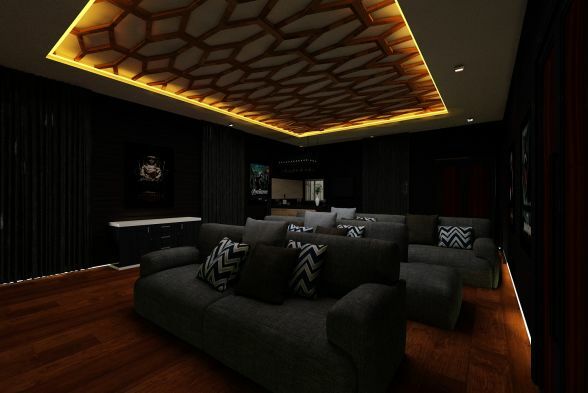 It should be comfortable and relaxing, as the people use the room for watching movies and for entertainment purpose. 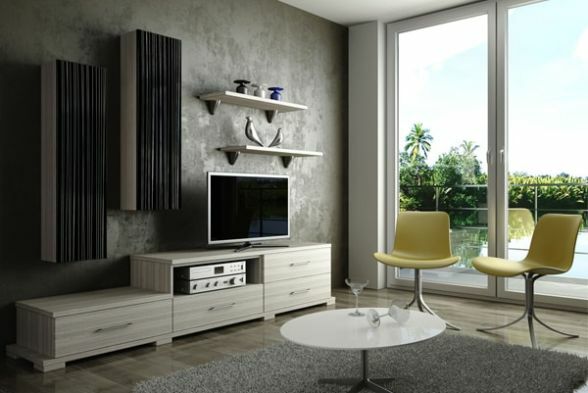 The room should have excellent speaker settings with sound quality as well. 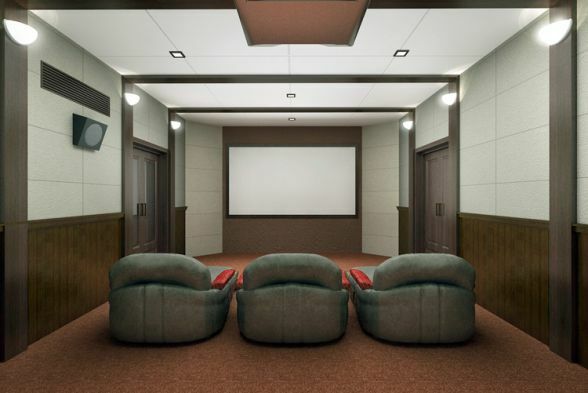 If you need any further details regarding the home theatre design, please contact the registered professionals of Kraftivo. 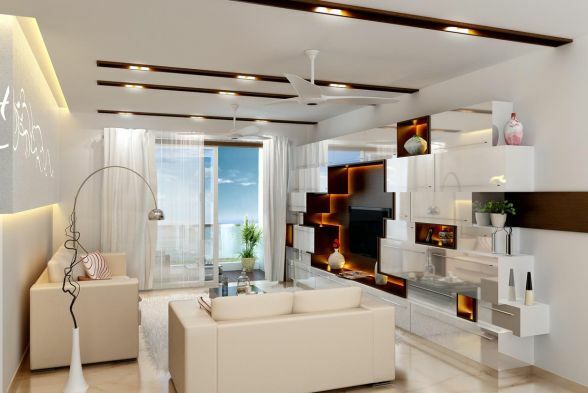 You can refer several unique design ideas and other information regarding your house designing.